NEW LOCATION! 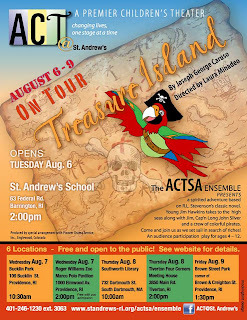 Due to rain, today's 1:30pm performance of Treasure Island by the ACTSA Ensemble will now take place at the East Side / Mt. Hope YMCA located at 458 Hope Street. We hope to see you there!! Thank you, YMCA, for your support! !